The election and reelection of Barack Obama ushered in a litany of controversial perspectives about the contemporary state of American race relations. In this incisive volume, some of the country’s most celebrated and original thinkers on race—historians, sociologists, writers, scholars, and cultural critics—reexamine the familiar framework of the civil rights movement with an eye to redirecting our understanding of the politics of race. Through provocative and insightful essays, The New Black challenges contemporary images of black families, offers a contentious critique of the relevance of presidential politics, transforms ideas about real and perceived political power, defies commonly accepted notions of “blackness,” and generally attempts to sketch the new boundaries of debates over race in America. 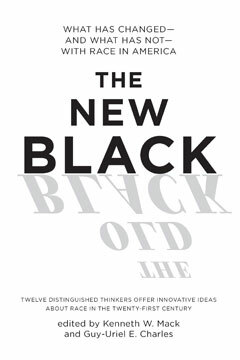 Bringing a wealth of novel ideas and fresh perspectives to the public discourse, The New Black represents a major effort to address both persistent inequalities and the changing landscape of race in the new century.